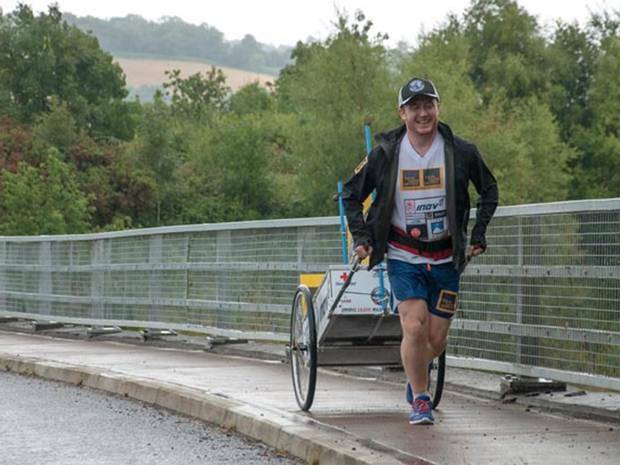 Solo and self-supported ultra marathon runner Kevin Carr has been running for 19 months, back in his home county of Devon having circumnavigated the globe – running between a marathon and a half and two marathons a day. Today (Thursday 9 April 2015), Kevin will complete the 'Hard Way Round' and arrive back at Haytor on Dartmoor. British ultra-marathon runner Kevin began running around the world, unsupported and solo, setting off from Devon on 28 July 2013 heading east, running an ultra-marathon most days. His route has seen him run over deserts, frozen arctic climes and high altitude mountain passes and traverse 5 continents back to back. 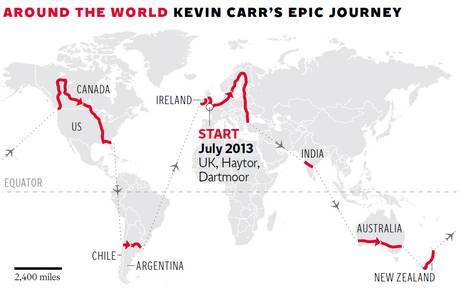 Kevin is on track to beat the world record for running fastest and solo around the world. Kevin's route round the world is an incredible 26,232km (16,299 miles) he is on his own, self supported and carrying all running, camping, first aid and tracking kit necessary to complete the effort, raising money for mental health charity SANE and the British Red Cross. Having run across Europe, India, Australia, New Zealand, Canada, USA, South America and Ireland over the past 19 months, Kevin arrived in Scotland on Tuesday (24 March) and now into his final 24 hours running through Devon onto his original point of departure, Dartmoor in Devon, due to arrive Thursday 9 April between 5 – 6.30pm. Okehampton – Lydford - Mary Tavy - Peter Tavy - Tavistock (subject to how many mile are required) – Princetown - Widecombe in the moor – Haytor (top car park). Visit the website at http://hardwayround.com/ where you can chart Kevin's progress, see where he has been and donate to SANE and British Red Cross. 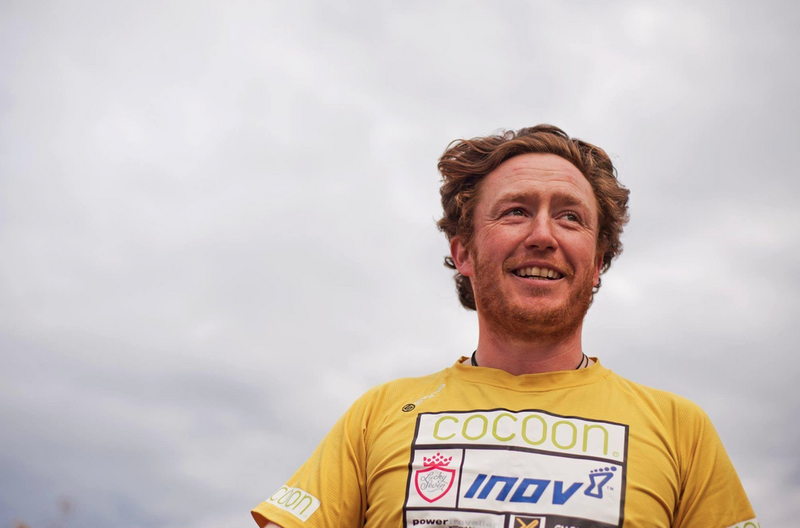 Kevin's incredible feat is now getting national recognition with coverage in The Independent, i, The Mirror, Daily Mail, The Times and broadcast coverage on ITV with other networks lined up for the finish. 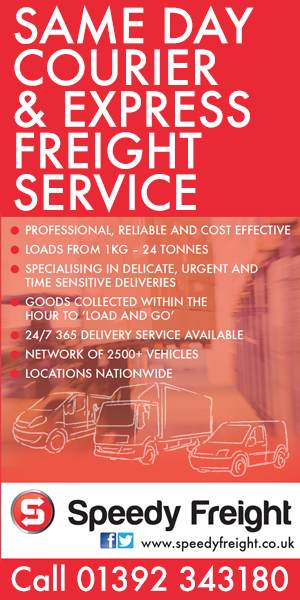 PR support for the final leg has been supplied by Exeter-based Bleep Communications.